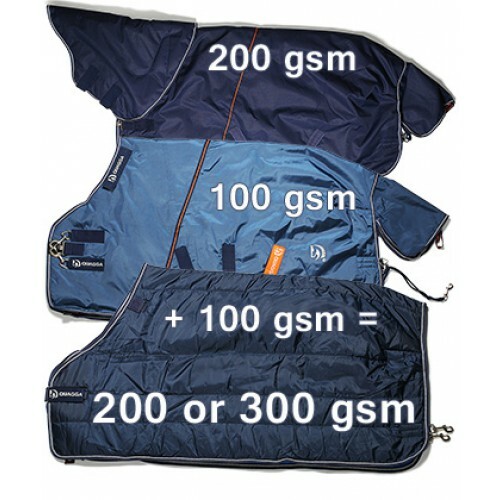 With this bundle you get three great products. 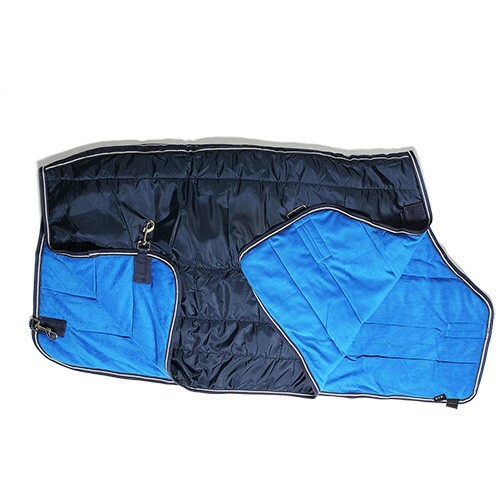 The 200gsm Quagga stable rug is designed to keep your horse comfortable in the stable. 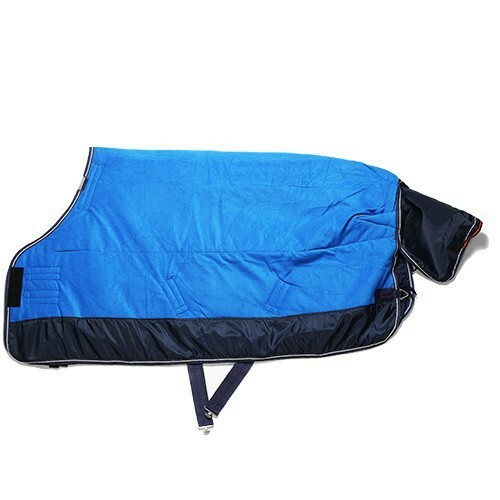 Made of a rip-stop texturized polyester outer shell, filled with 200g of bonded fiberfill along with the additional comfort of QUAGGA DRY lining fabric, which gives the rug the additional benefits that you expect from Quagga rugs, wicking any moisture away from the horse and antibacterial coating. 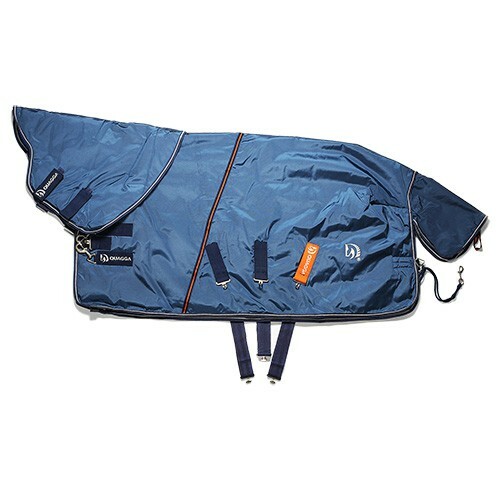 Combine the stable rug and underlayer and your horse gets 300gsm of warmth. 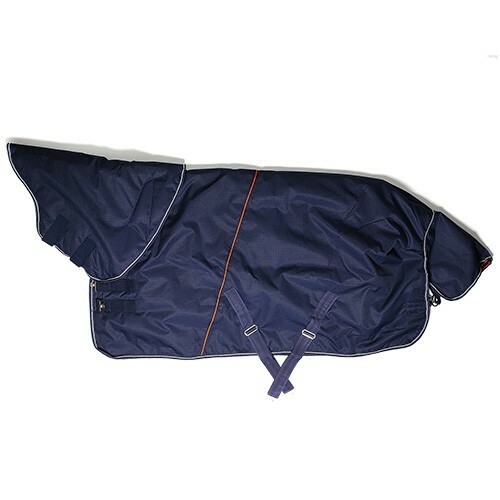 The 100gsm Quagga turnout is waterproof and breathable, with a QUAGGA DRY lining system to ensure your horse will be comfortable whatever the weather. 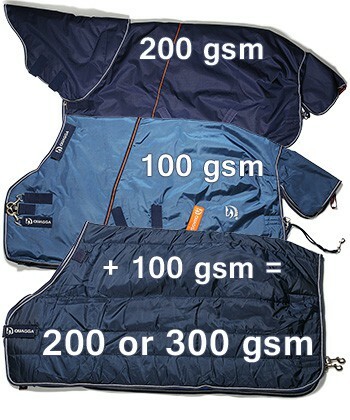 Combine the turnout and underlayer and your horse gets 200gsm of warmth. 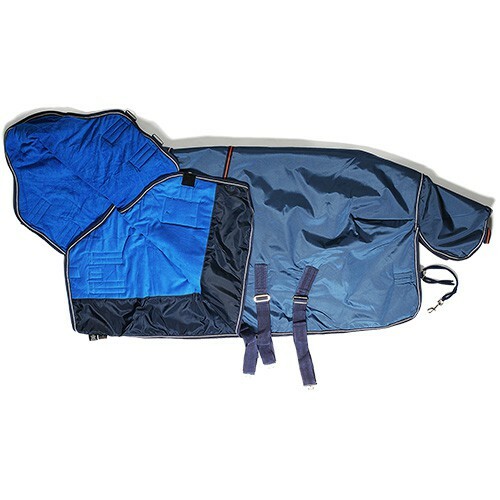 The 100 gsm Quagga underlayer, breathable and interchangeable, with both the turnout and the stable rug, it attaches securely at the neck and tail straps.